Deputy Director- Legal P7 Professional Officer 7 Regular/full-time Department of Growth, Enterprise and Trade Companies Office, Entrepreneurship Manitoba Winnipeg MB Advertisement Number: 34893 Salary(s): P7 $70,584.00 - $85,979.00 per year Closing Date: April 3, 2019 The Manitoba government recognizes the importance of building an exemplary civil service that is inclusive and reflective of the population it serves. We encourage applicants to voluntarily self-declare in the cover letter, resumé or application if they are from any of the following employment equity groups: women, Indigenous people, visible minorities, and persons with disabilities. This is a preference competition. All applicants are encouraged to apply, however first consideration for this competition will be given to Indigenous people. Applicants are requested to self-declare at the time of application. Position description available upon request. The Companies Office is the authoritative Manitoba registry for information related to incorporated and unincorporated businesses. The Companies Office regulates the names of registered entities. Conditions of Employment: Must be legally entitled to work in Canada Satisfactory Criminal Record Check Qualifications: Essential: Law Degree or an equivalent combination of education and experience Experience interpreting and administering various acts, legislation, and policies Extensive knowledge of administrative and business law principles Superior interpersonal skills reflected by an ability to establish and maintain professional working relationships and networks with a variety of organizations, external agencies and other service partners Excellent written communication skills for composing legislative and regulatory proposals for senior leaders Excellent verbal communication skills Excellent organizational skills with the ability to manage multiple or competing priorities within tight timeframes Excellent judgement and critical thinking skills required to make appropriate, unbiased and timely decisions Strong political acumen Desired: Experience providing leadership or supervision to staff Duties: The incumbent oversees document processing and name reservations by staff under the Corporations Act, and the Business Names Registration Act, ensuring that reservations are in accordance with legislation and policy. The incumbent conducts hearings under the statutes in accordance with the principles of natural justice in order to determine whether a statutory power should be exercised, and guides and drafts statutory and regulatory changes, including the necessary Cabinet and Treasury Board submissions, and Ministerial/Executive briefings. The incumbent receives complex queries from lawyers, accountants, general public and other government departments as to the laws and policies. Apply to: Advertisement # 34893 Service Centre 4 Human Resource Services 600-259 Portage Avenue Winnipeg, MB , R3B 2A9 Phone: 204-945-7518 Fax: 204-945-0601 Email: govjobs@gov.mb.ca Please be advised that job competitions may be grieved and appealed. Should a selection grievance be filed, information from the competition file will be provided to the grievor's representative or the grievor, if unrepresented. Personal information irrelevant to the grievance and other information protected under legislation will be redacted. We thank all who apply and advise that only those selected for further consideration will be contacted. WHEN APPLYING TO THIS POSITION, PLEASE INDICATE THE ADVERTISEMENT NUMBER AND POSITION TITLE IN THE SUBJECT LINE AND/OR BODY OF YOUR EMAIL. Your cover letter, resumé and/or application must clearly indicate how you meet the qualifications. Job Description Great-West Life has an exciting opportunity within our Winnipeg corporate law department as part of Great-West Life’s legal team of over 150 lawyers globally. If you are looking to apply your corporate law experience in a challenging and fast-paced environment with one of the largest insurance companies in Canada, consider a career with Great-West Life. Reporting to the AVP and Senior Counsel, you will be a key member of the corporate legal team providing practical and timely advice and legal support on a wide variety of issues and transactions related to third party supply arrangements, procurement, and technology law. You will work with a highly accomplished team of legal professionals and will be involved in: Drafting and negotiating agreements for the acquisition of a variety of products and services, including consulting agreements, cloud service agreements, software development, licensing and maintenance agreements, hardware lease and purchase agreements, and telecommunication agreements Assisting with requests for proposals for the acquisition of various products and services Working on compliance and regulatory matters Analyzing and interpreting contracts Assisting in the resolution of disputes Contributing as a member of the legal team bringing your experience and creative legal skills to provide practical solutions to our business Qualifications and Competencies : University Degree, Member of a Provincial Bar in good standing 3 - 10 years work experience in the area of commercial contracts, IT law, and/or procurement law Self-motivated with a desire to work both independently and in a cooperative team environment Ability to build and maintain collaborative relationships Demonstrated ability to negotiate and influence Highly focused with attention to detail Strong drafting, legal and written communication skills with a practical solution-oriented approach and the ability to use clear, plain language Proven analytical and problem-solving skills with experience resolving complex problems Superior organizational and time management skills with experience addressing multiple projects at once Discover your opportunity…. Apply today! Great-West Life offers competitive compensation, great benefits such as medical, dental, life insurance, wellness account and personal days not to mention onsite cafeteria and fitness facilities. If you’d like to join our team submit your information online and introduce yourself. Together Great-West Life, London Life and Canada Life serve the financial security needs of more than 13 million people across Canada, with additional operations in Europe and the United States. As members of the Power Financial Corporation group of companies, we’re one of Canada’s leading insurers with interests in life insurance, health insurance, investment and retirement savings. We offer a broad portfolio of financial and benefit plan solutions for individuals, families, businesses and organizations. We are committed to providing an inclusive, accessible environment, where all employees and customers feel valued, respected and supported. We are dedicated to building a workforce that reflects the diversity of the communities in which we live, and to creating an environment where every employee has the opportunity to reach their potential. Great-West Lifeco would like to thank all applicants, however only those who qualify for an interview will be contacted. Regular/full-time Manitoba Justice Legislative Counsel Winnipeg MB Advertisement Number: 34848 Salary(s): LF1-3 $76,220.00 - $153,725.00 per year Closing Date: March 29, 2019 The Manitoba government recognizes the importance of building an exemplary civil service that is inclusive and reflective of the population it serves. We encourage applicants to voluntarily self-declare in the cover letter, resumé or application if they are from any of the following employment equity groups: women, Indigenous people, visible minorities, and persons with disabilities. Employment Equity is a factor in selection for this competition. Consideration will be given to women, Indigenous people, visible minorities and persons with disabilities. An eligibility list may be created for similar positions and will remain in effect for 6 months. Candidates who do not meet all essential criteria may be considered on an underfill basis at a commensurate rate of pay. Candidates are asked to provide a sample of their writing. Candidates may also be asked to complete a written exercise. The Legislative Counsel Division is the legislative drafting office for the Government of Manitoba. It also provides legal advice and assistance as Law Officer of the Legislative Assembly. Crown Counsel in the Legislative Counsel Division are members of the Manitoba Association of Crown Attorneys and compensation is commensurate with experience as set out in the collective agreement. The Legislative Counsel Division offers a positive working environment. We value and support continuous learning, collaboration and a commitment to excellence. Conditions of Employment: Must be legally entitled to work in Canada Eligible for membership or membership in good standing with the Law Society of Manitoba Satisfactory Criminal Record Check Evening and weekend work as required Qualifications: Essential: Extensive experience and excellence in the practice of law Superior ability to write clearly, accurately and analytically Excellent verbal communication skills Excellent organizational skills with the ability to meet critical deadlines Ability to make decisions and solve problems independently Ability to work cooperatively and constructively in a team environment Strong interpersonal skills with the ability to build and maintain strong client relationships High level of judgment, discretion and tact with strong political acumen Strong academic background Experience in project management Desired: Education specializing in financing, accounting or taxation or an equivalent combination of related education, training and experience Experience in legislative drafting or the development of statutes or regulations Use of plain language in legal writing Excellent French verbal communication skills Excellent French written communication skills Duties: As Crown Counsel (Legislation), you will work with senior government officials in a broad range of government department and agencies, and with lawyers in other divisions of Manitoba Justice, in drafting statutes and regulations. You will also work directly with members of the Legislative Assembly and their staff in drafting bills and committee amendments for private members. You will also provide related legal advice to the government and to members of the Assembly. Apply to: Advertisement # 34848 Service Centre 1 Human Resource Services 1130-405 Broadway Winnipeg, MB , R3C 3L6 Phone: 204-945-3204 Fax: 204-948-7373 Email: govjobs@gov.mb.ca Please be advised that job competitions may be grieved and appealed. Should a selection grievance be filed, information from the competition file will be provided to the grievor's representative or the grievor, if unrepresented. Personal information irrelevant to the grievance and other information protected under legislation will be redacted. We thank all who apply and advise that only those selected for further consideration will be contacted. WHEN APPLYING TO THIS POSITION, PLEASE INDICATE THE ADVERTISEMENT NUMBER AND POSITION TITLE IN THE SUBJECT LINE AND/OR BODY OF YOUR EMAIL. Your cover letter, resumé and/or application must clearly indicate how you meet the qualifications. The City of Winnipeg is a vibrant and dynamic organization with many opportunities! We offer a diverse and welcoming work environment that delivers quality services to our citizens. Legal Assistant II Legal Services Posting No: 116951 Closing Date: July 30, 2018 Job Profile Reporting to the Director of Legal Services and under the supervision of the Deputy City Solicitor, the Legal Assistant II is responsible for providing a broad range of coordination and administrative support services in the Legal Services Department, including preparation of legal documents and correspondence, answering telephone inquiries and performing reception and other related duties, as required. As the Legal Assistant II you will: Prepare and assemble a wide range of complex documents, including contracts, indentures, funding agreements, purchase and sale agreements, leases, easement agreements, land exchange agreements, encroachment and other agreements, by-laws, caveats, withdrawal of caveats, documents related to expropriations, pleadings and other documents related to litigation, and other related legal documentation, with limited direction. Arrange for execution of agreements and other documents. Conduct electronic searches of records including those at the Manitoba Companies Office, Winnipeg Land Titles Office, Manitoba courts and the Personal Property Registry. Arrange for registrations in the Property Registry and the Manitoba Courts. Provide secretarial support to lawyers. Receive and respond to inquiries, referring only unusual circumstances to the solicitor. Gather essential information from various sources. Compile and maintain accurate filing and record keeping systems, including confirmation of closing dates and proper document registration, and compliance with trust conditions. Diarize and schedule meetings. Draft correspondence. Transcribe dictation of correspondence and various legal documents. Establish and maintain effective working relationships with other City Departments, external law firms, and members of the public who do not have legal counsel. Perform other related administrative support functions, consistent with the classification, as required. Your education and qualifications include: High school graduation and successful completion of a legal assistant training program from a recognized college. Minimum of five (5) years recent legal assistant/secretarial experience in a law office or firm working with minimal supervision under the direction of a lawyer, in the area of criminal or civil litigation. Demonstrated ability to type accurately at 55 w.p.m. net, and operate a personal computer utilizing Microsoft Word (Advanced), Outlook, and Excel. Ability to undertake new work activities without specific direction; exercise sound judgment and react resourcefully under varying conditions and changing priorities, and deal with confidential matters discreetly and logically. Demonstrated organizational abilities and ability to work effectively with minimum supervision. Ability to set work priorities and to schedule and meet work deadlines. Demonstrated ability to communicate effectively both orally and in writing. Ability to work efficiently from verbal and written instructions, and produce accurate work. Ability to present a positive professional image, and interact positively and effectively with individuals using integrity and courtesy at all times. Demonstrated ability to establish and maintain positive and effective working relationships with employees at all levels of the organization and with external contacts, in accordance with the Respectful Workplace policy, and to work cooperatively as a member of a service-oriented team. Conditions of employment: A Police Information Check satisfactory to the employer will be required from the applicant or successful candidate, at their expense CORE COMPETENCIES for ALL EMPLOYEES OF THE CITY OF WINNIPEG: Citizen & Customer Focus Respecting Diversity Ethics and Values Integrity and Trust Results Oriented How to Apply APPLY ONLINE , including all documentation listed below: Current resume ( Required ). Cover Letter *Applications submitted without REQUIRED documentation will not be considered. * If you do NOT have access to a computer/email, please apply, including all documentation listed above, to: Staffing Branch, HR Services, Main Floor – 510 Main Street, Winnipeg, MB by 4:30 P.M., Monday, July 30, 2018. Notes Applicants may be required to undergo testing to determine their knowledge, skills and abilities as they relate to the qualifications of the position. Online applications can be submitted at http://www.winnipeg.ca/hr/ . For instructions on how to apply and how to attach required documents please refer to our FAQ's or contact 311. The City of Winnipeg uses the Korn Ferry Leadership Architect Competency Model as part of the recruitment process. The salary range for this position is $1,908.54 - $2,063.14 bi-weekly. We have great benefits and competitive salaries, and we are committed to ongoing learning and career development! WE SEEK DIVERSITY IN OUR WORKPLACE. INDIGENOUS PERSONS, WOMEN, VISIBLE MINORITIES, AND PERSONS WITH A DISABILITY ARE ENCOURAGED TO SELF-DECLARE. Only candidates selected for interviews will be contacted. Requests for Reasonable Accommodation will be accepted during the hiring process. We are pleased to announce we have a newly created position of Litigation Lawyer that we are seeking to join our practice in Winnipeg. We are looking for an energetic, conscientious professional, who can multi- task to meet tight deadlines, has the ability to work independently while ensuring tasks are completed accurately and in a timely fashion. This role requires someone with a can do attitude that has at least six (6) years’ experience in litigation with a strong interest to grow with our team. Key accountabilities and responsibilities: Responsible for managing litigation files; Appearing independently on matters before the Court of Queen’s Bench, Manitoba Court of Appeal, and various administrative tribunals; Ambitious, personable and entrepreneurial The ideal candidate must have a minimum of 6 years of active litigation experience including but not limited to: conducting examinations for discovery, arguing motions/applications, conducting trials, conducting mediations/arbitrations. Qualifications: Minimum of 6 years of Litigation experience preferred; In good standing with The Law Society of Manitoba; Superior communication and client service skills; Organized with the ability to manage multiple files in various stages of litigation; Strong oral and written communication skills; Excellent technical and problem solving skills; Strong legal research skills; Ability to identify the most effective file strategy and manage complex client files with minimal senior supervision; Demonstrated commitment to client service; Desire to participate in business development opportunities through attending and/or joining appropriate networking events and memberships; A team player with the ability to work well with others in a group setting and adapt to firm policies and procedures; Excellent time management skills with ability to handle multiple priorities; Ability to work under short deadlines in a fast-paced atmosphere with minimal supervision; Above average attention to detail. Other Preference will be given to candidates who provide copies of any court decisions. We welcome applications from candidates who have already established a client base. If you are interested in joining our team, please forward your resume and cover letter to: hr@ddwestllp.com. We thank all candidates who apply, however, only those selected for a personal interview will be contacted. No phone calls and/or agencies please. ABOUT US Assante Private Client, a subsidiary of CI Private Counsel LP, provides portfolio management and wealth management advisory services exclusively through a national network of financial advisors. Focusing on high net worth individuals and families, the professionals at Assante Private Client offer financial planning, risk management, and estate and tax planning services to our clients, helping them simplify and enhance their lives. POSITION : Tax and Estate Planning Practitioner (Lawyer or Accountant) LOCATION : Winnipeg (R3C 4T3) STATUS : Full-time JOB OVERVIEW We are currently seeking a Tax and Estate Planning practitioner to join our Wealth Planning group. The successful candidate will be an experienced Lawyer or Accountant with in-depth tax and estate planning knowledge. Responsibilities will include providing advice and strategies to existing clients of our financial advisors, primarily through the preparation of comprehensive and technical client reports. Many of our clients are business owners and high net worth individuals and our niche is in the provision of comprehensive wealth planning services. We go far beyond investments, and include sophisticated tax and estate planning in our suite of services. WHAT YOU WILL DO Prepare comprehensive and technical tax and estate planning reports for clients Prepare memos relating to specific tax and estate planning questions raised by clients and financial advisors Respond to tax and estate planning inquiries from our financial advisors and corporate personnel Communicate with clients' professional advisors to discuss issues and recommendations Prepare research and client newsletter articles on tax and estate planning topics Train and educate corporate staff and financial advisors on tax and estate planning matters Maintain complete confidentiality relating to all client matters Maintain professional standards and designations through continuing education and professional development Work with colleagues within the company and the company's clients in a professional manner, displaying the utmost respect for fellow workers and clients WHAT YOU WILL BRING A professional legal or accounting designation is required Active membership in a Canadian accounting or legal body A minimum of three years of professional experience required, specializing in owner-manager corporate and personal tax planning, succession planning, retirement planning and estate planning strategies Completion of the CICA In-Depth Tax Course, CBA Tax Law for Lawyers program, Master's Degree in Taxation or equivalent Strong analytical skills and technical knowledge Excellent written and oral communication skills High degree of accuracy and attention to detail Ability to work independently and as part of a multi-disciplinary team Ability to work effectively and efficiently in a fast paced environment Excellent computer and research skills, including good working knowledge of Microsoft Word, Excel and PowerPoint programs, computer based income tax research software WHAT YOU CAN EXPECT FROM US Collaborative and friendly team environment Opportunities to develop and grow within the company Health and Wellness programs including discounted corporate fitness membership and nutritional seminars If you are a passionate, committed and dynamic individual, please submit your resume in confidence by clicking " Apply ". Only qualified candidates selected for an interview will be contacted. CI Financial Corp. and all of our affiliates ("CI") are committed to fair and accessible employment practices and we are committed to providing accommodations for persons with disabilities. If you require accommodations in order to apply for any job opportunities, or require this posting in an additional format, please contact us at accessible.recruitment@ci.com, or call 416-681-4747. If you are contacted by CI regarding a job opportunity or testing and require accommodation in any stage of the recruitment process, please use the above contact information. We will work with all applicants to determine appropriate accommodation for individual accessibility needs. At DD West LLP, we apply our collective knowledge and comprehensive experience to provide legal advisory services and advice to the institutions, businesses, organizations and individuals we serve. Respect and concern for the well-being of our clients, while maintaining the flexibility required to ensure the provision of direct and cost-effective representation and counsel, remain the cornerstones of our practice. No matter how diverse or complex the issue, our team of capable and committed legal advisors provide timely practical solutions to protect the best interests of our clients. We are pleased to announce we have grown and have a newly created positon of Legal Assistant that we are seeking to join our practice in Winnipeg. We are looking for an energetic, conscientious professional, who can multi- task to meet tight deadlines, has the ability to work independently while ensuring tasks are completed accurately and in a timely fashion. This role requires someone with a can do attitude that is experienced in residential and commercial real estate with a strong interest to grow with our team. Key accountabilities and responsibilities: • Draft documents and correspondence • Prepare and file court forms / documents • Prepare and update pleadings binders • Review files and determine next steps • Communications with clients to schedule meetings, obtain additional information / documents • Communications with Opposing Counsel • Administrative Duties – opening files, requesting and obtaining cheques, manage electronic and physical client files, preparing accounts, scanning, filing, closing files, etc. Qualifications: • Completed Grade 12 and successful completion of the Legal Assistant program from an approved educational institution • Minimum 5 years’ experience in litigation • Experience in Family Law, Aboriginal Law, Administrative & Regulatory Law and / orAlternate Dispute Resolution is as asset • Working knowledge of Microsoft Office including Outlook and Word • Ability to provide excellent client service • Ability to assess and balance multiple tasks with different priority levels with a high attention to detail • Ability to work wells with others, independently and as part of a team • Above average attention to detail "Good law firms will meet the needs of their clients; Great law firms will create opportunities for their clients.” If you are interested in joining the team at DD West LLP please forward your resume and cover letter to: hr@ddwestllp.com DD West LLP is an equal opportunity employer. We thank all candidates who apply, however, only those selected for a personal interview will be contacted. No phone calls and/or agencies please. We are currently recruiting for an experienced lawyer with in-depth estate planning knowledge for the position of Wealth Planning Consultant (Estate Planning Lawyer). Based in Winnipeg or Toronto, the successful candidate will be responsible for providing advice and strategies to existing clients of our financial advisors, primarily through the preparation of comprehensive client reports. Many of our clients are high net worth individuals and business owners. Our niche is in the provision of comprehensive wealth planning services. We go far beyond investments and include in-depth estate planning, tax planning and risk management in our suite of services. WHAT YOU WILL DO Prepare comprehensive estate planning reports for clients Communicate with clients’ professional legal advisors to discuss issues and recommendations Respond to estate planning inquiries from our financial advisors and other corporate personnel Prepare research papers and client newsletter articles on estate planning topics Train and educate corporate staff and financial advisors on estate planning matters Maintain complete confidentiality relating to all client matters Maintain professional standards and designations through continuing education and professional development Work with colleagues within the company and the company’s clients in a professional manner, displaying the utmost respect for fellow workers and clients WHAT YOU WILL BRING A professional legal designation and active membership in a Canadian law society 3+ years of professional experience specializing in estate planning Strong analytical skills and technical knowledge Excellent communication skills with an emphasis on writing High degree of accuracy and attention to detail and strong organizational skills Ability to work independently and as part of a multi-disciplinary team Ability to work effectively and efficiently in a fast-paced environment Excellent computer skills, including Microsoft Word, Excel, PowerPoint, and legal research WHAT YOU CAN EXPECT FROM US Collaborative and friendly team environment Opportunities to develop and grow within the company Health and Wellness programs including discounted corporate fitness membership If you are a passionate, committed and dynamic individual, please submit your resume in confidence by clicking “Apply”. Only qualified candidates selected for an interview will be contacted. CI Financial Corp. and all of our affiliates (“CI”) are committed to fair and accessible employment practices and we are committed to providing accommodations for persons with disabilities. If you require accommodations in order to apply for any job opportunities, or require this posting in an additional format, please contact us at accessible.recruitment@ci.com, or call 416-681-4747. If you are contacted by CI regarding a job opportunity or testing and require accommodation in any stage of the recruitment process, please use the above contact information. We will work with all applicants to determine appropriate accommodation for individual accessibility needs. Recruitment Details Clerk B - Legal Counsel Unit Winnipeg Police Service Posting No. 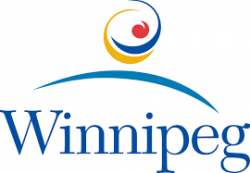 115849 The City of Winnipeg is a vibrant and dynamic organization with many opportunities! We offer a diverse and welcoming work environment that delivers quality services to our citizens. Closing Date: Tuesday, January 30, 2018 Job Profile The Winnipeg Police Service (WPS) is offering an exciting opportunity for those interested in a career within the WPS, as a Clerk B in the Legal Counsel Unit. The successful candidate must be able to work under minimal or no supervision, have the ability to deal with confidential and sensitive matters, and the ability to multitask and prioritize work under pressure. As the Clerk B in the Legal Counsel Unit you will: Provide clerical support to the Legal Counsel by receiving and responding to telephone inquiries. Prepare and assemble legal briefs. Assist in preparation of contracts, agreements, affidavits, and various legal documents. Compile and maintain accurate filing and record keeping systems. Arrange discipline hearings while ensuring proper availability. Other duties as assigned. Your Education And Qualifications Include Grade 12 Diploma, GED certificate. IMPORTANT: Applicants who have been educated outside of Canada must have education which is comparable to the minimum qualification in Canada. Applicants submitting foreign credentials require an official academic assessment report issued by a recognized Canadian assessment service ** at application . Completion of Legal Assistant program considered an asset. 24 months administrative experience in an office environment. Experience working as a legal assistant required. Demonstrated proficiency using Microsoft applications – Word, Outlook (Basic Level). Conditions Of Employment Must be a Canadian Citizen or Permanent Resident. Must be 18 years of age. Job related testing is applicable. Ability to meet and maintain the standards of a Winnipeg Police Service security check / background investigation and required police clearances. No involvement in any criminal activity within the last two years (including the use of illegal drugs). No criminal record for which a Pardon has not been granted. CORE COMPETENCIES for ALL EMPLOYEES OF THE CITY OF WINNIPEG: Citizen & Customer Focus Respecting Diversity Ethics and Values Integrity and Trust Results Oriented How To Apply APPLY ONLINE , including all documentation listed below: Current resume ( Required ) Grade 12 Diploma or GED Certificate - Diploma or FINAL transcripts ( Required ) Completion of Legal Assistant Program - Certificate or FINAL transcripts ( Required if applicable ) Proof of Canadian Citizenship or Permanent Residency - i.e. Birth Certificate, Canadian Passport, Landed Immigrant Papers, Canadian Citizenship Card, Permanent Resident Card ( Required ) Foreign Credential Academic Assessment ( Required if applicable ) Applications submitted without REQUIRED documentation will not be considered. * If you do NOT have access to a computer/email, please apply, including all documentation listed above, to: Winnipeg Police Service Headquarters, 245 Smith Street, Winnipeg, MB by 3:00 P.M., Tuesday, January 30, 2018. Notes Online applications can be submitted at http://www.winnipeg.ca/hr/ . For instructions on how to apply and how to attach required documents please refer to our FAQ's or contact 311. The City of Winnipeg uses the Korn Ferry Leadership Architect Competency Model as part of the recruitment process. The salary range for this position is $1,839.05 to $2,135.38 bi-weekly. We have great benefits and competitive salaries, and we are committed to ongoing learning and career development! WE SEEK DIVERSITY IN OUR WORKPLACE. INDIGENOUS PERSONS, WOMEN, VISIBLE MINORITIES, AND PERSONS WITH A DISABILITY ARE ENCOURAGED TO SELF-DECLARE. Only candidates selected for interviews will be contacted. Requests for Reasonable Accommodation will be accepted during the hiring process. Job Summary Zaifman Law is looking for an individual for the position of Legal Assistant. The successful candidate must have two to five years related experience. The Candidates responsibilities will include but not be limited to: Preparation of correspondence and documents including forms, letters, and submissions; Direct communication with clients, including various correspondence and meetings; Preparation of Statement of Accounts and Disbursement Bills; Other duties, as assigned. Required Qualifications include: Diploma/Certificate in a recognized Legal Administrative Assistant program; Excellent attention to detail and accuracy; Proficient organizational and time management skills; Strong communications skills, both oral and written; Self-motivated with the ability to display initiative; Ability to work independently, as well as a team player; Experience in Immigration Law is considered to be an asset; Strong skills in Microsoft Office and Adobe; Language ability is considered to be an asset. Interested candidates should submit a resume stating salary expectations and references. We thank all applicants for their interest, however, only those applicants selected for an interview will be contacted.